When you walk through homes that are being built or remodeled, you will often see the insulation that has been attached to the walls. Every home needs insulation. House insulation is what regulates a home’s temperature and helps keep the home more energy efficient. Sometimes when buying a home, part of the home may not be insulated, and the homeowner will see higher heating and cooling bills. 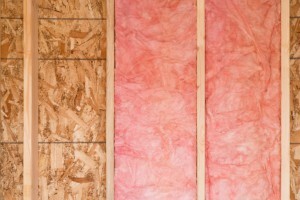 If you buy a home that has an unfinished attic or basement, most likely it was not built with insulation. Insulation lines walls, ceilings, and foundations of a home to keep heat out during the hot months and heat in during the cold months. This helps keep utilities down because it enables heaters and air conditioners to not have to work overtime to compensate for heat loss. When your un-insulated attic is insulated, you will see an immediate drop in your heating/cooling bill. 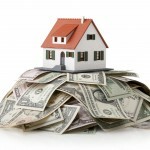 House insulation also helps a home with soundproofing. When a home is not well-insulated, traffic on the street may only be slightly muffled compared to outside. You may even feel like neighbors are too loud, when in fact it could be lack of insulation. A well-insulated home will be closed off to most outside noises, leaving you happier and more content. There are many different types of insulation to choose from, whether sheets or spray-in, and insulation has its own value systems. 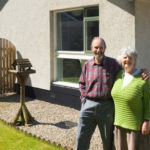 The R-value ratings are recommendations to help homeowners and insulation contractors know what type of house insulation is best for the homes in a certain area. It even breaks down areas to show what type should go in what part of the home, so it can be more energy efficient. If you would like more information on house insulation and how it may help you and your home, our team at Polk County Insulation would love to help. Please give us a call.